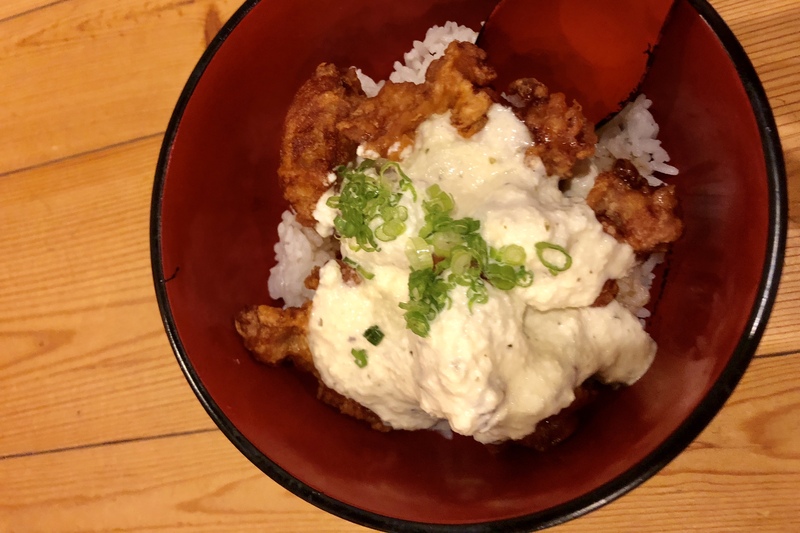 I have been to Gyo-O quite a few times over the years and reviewed their food. For this post, I just want to mention how much I enjoyed the Ebi Tempura here the other night when I came here for a quick dinner with mom. Tempura might be one of the understated items at the Japanese restaurants in Vancouver. In Japan, tempura is a culinary craft just like sushi. As I have been doing research for my Japan trip for December, I’m astonished that some of the tempura restaurants even charge more than sushi places on the Michelin Guide. 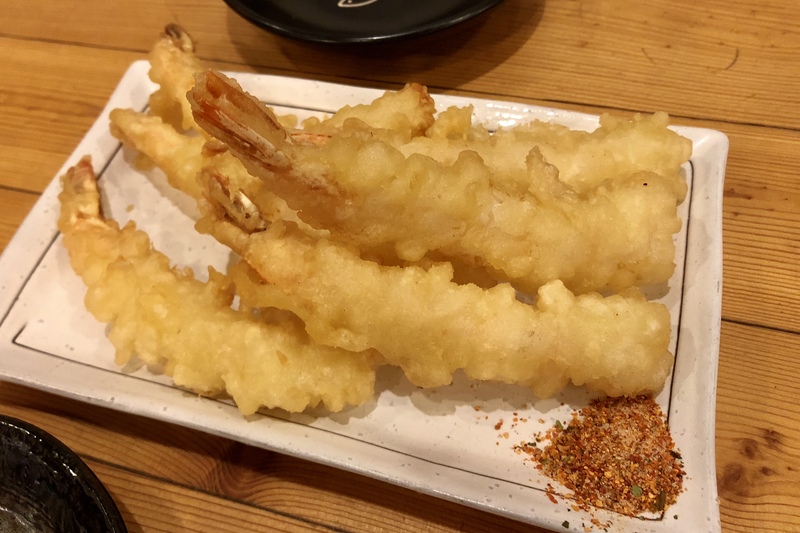 The Ebi Tempura ($7.50), or the shrimp tempura is one of Gyo-O’s best sellers. Working the deep fryer is no task in the Japanese kitchen. The perfect balance of flour, water, and egg in the batter, and the consistent temperature of the oil, everything matters! And I was amazed by how incredible the fried shrimp pieces are – the batter is not too heavy and not too light, perfectly crispy; the shrimps are so fresh that the tails are super crunchy and easily disintegrate after a few chews; they also offer the Shichimi seasoning on the plate and that’s pretty thoughtful and not so common at other Japanese joints as well. 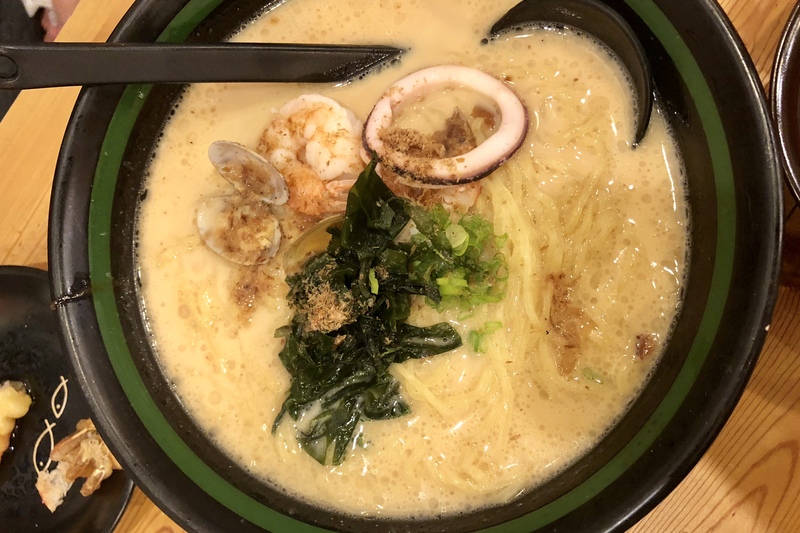 We also had the Chichen Nanban Don ($10.80) and the Seafood Tonkatsu Ramen ($11.80). And this turned out to be a bit too much food for 2 of us. Overall the quality of food here is still there. So maybe I really should check out one of those fancy tempura restaurants in Tokyo. It could be a memorable experience. It’s amazing such a small dish could get me so excited.